abandoned fragment goes green The concept for this redundant piece of concrete freeway was part landscape, part artwork. 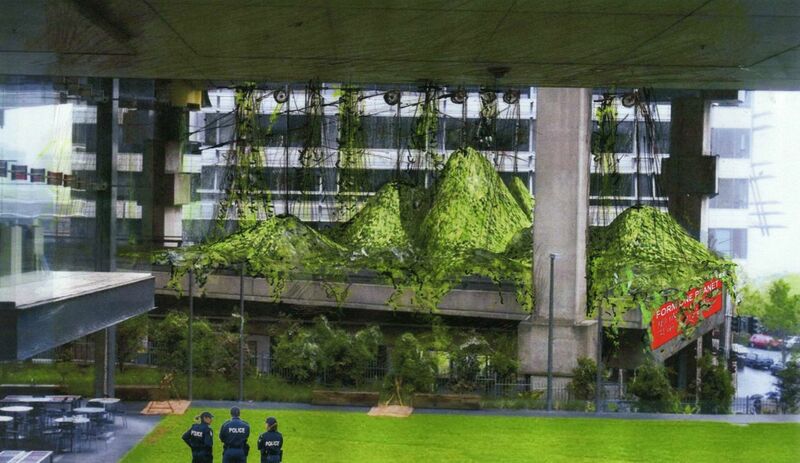 It filled The Stub, an abandoned fragment of the roads structure in Sydney’s CBD, with shade-loving rainforest vines whilst commenting on the issue of global warming. 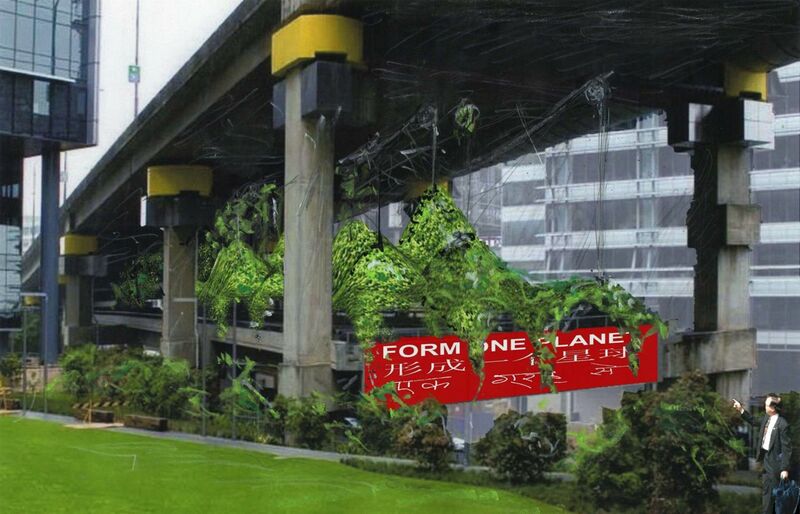 "FORM ONE LANE", as seen on our freeway signs, became a bold red sign saying "FORM ONE PLANET". The design also commented on Sydney's regular water shortages, acting as an eco-barometer of the state of our most precious resource. An ingenious system of tanks, pipes and pulleys are connected to a vine-covered wire mesh. Water run-off from the freeway above is collected in a large tank, channelled to fill several large water bags. The weight of the water raises different parts of the mesh as the water level in the main tank rises. In times of heavy rainfall the topography becomes greener. In dry periods it becomes flatter and the vines take on a brownish hue. A salutary reminder of the state of our planet's resources.